When looking into hardscape ideas in Atlanta, there are many different options that you have to choose from. Hardscaping allows you the ability to create an outdoor extension on your home through luxury and glamour. Throughout the years, landscape designers have been coming up with new hardscaping ideas to make your yard amazing. There are few things that can spice up a party the same way that a beautiful hardscape design can. · Inground Pool: There are many different types of pools, but the most popular would be an inground pool. Inground pools are usually built by digging a hole, then filling it with concrete walls and water. The most common reason that people decide to get a pool in their yard is due to the sound of the water. Listening to water ripple can be one of the most relaxing things known to man. Not to mention how much fun you will have with your family in a pool. · Above-Ground Pools: Above-ground pools can be found in many different ways. The most common is a pool built into a deck. The hardscape design of a pool inside of a deck allows you to incorporate two extremely popular elements while showing class. A hardwood deck can be one of the most beautiful parts of your yard, while the pool is the highest area of interest. Having a pool inside of your deck allows you to go underneath the deck and check on pool maintenance issues and clean the outside of your pool. · Saltwater Pool: A saltwater pool can be created with an inground or above-ground pool. The only difference about this type of pool is the salt. Many people have different allergies or negative side effects that are linked with chlorine. Using saltwater is a wonderful way to avoid harsh side effects form chlorine while still keeping your pool clean. Having a saltwater pool also provides more luxury due to the brain associating it with the ocean. · Stone Walkways: If you have a cozy cottage garden look around your home, adding a flat stone walkway can make your home feel even more perfect. A common idea is leaving a bit of space between the stones to fill in with small pebbles or grass. 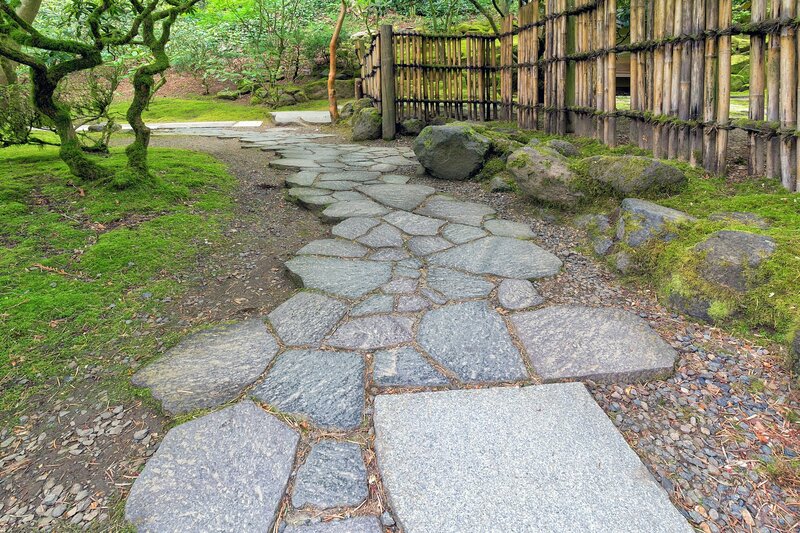 · Outlining Your Garden with Stone: Instead of a traditional stone walkway to a garden or door, you can provide a barrier around your garden with stone. The stone acts more as a moat rather than a path to get from one point to the other. · Outdoor Fireplace: A fire-pit is an extremely common desire for a backyard. It is a great place to bring the family together after a long day, or enjoy some s’mores around during the summer nights. But have you ever thought about a fireplace? An outdoor fireplace is safer than a fire-pit and adds a certain glamour that a fire-pit cannot provide. · Gazebo: A gazebo is a wonderful hardscape idea for hosting family events. It offers a serene area to spend time in your backyard. · Stone Bench: Having a stone bench in your backyard is one of the simplest hardscape aspects there is. It can provide the classic look that you desire. 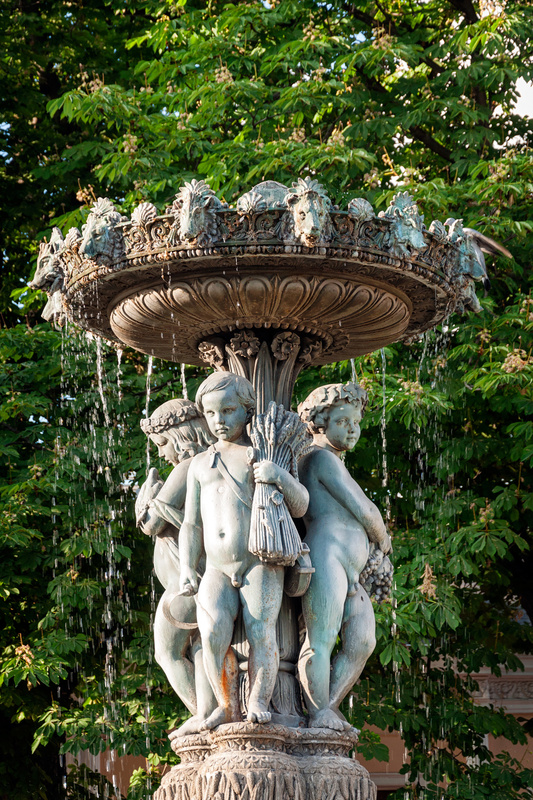 · Fountains: Fountains offer you a luxurious feel to your entire backyard—or just install a fancy birdbath, whichever you desire. · Deck or Patio: Having a hardwood or stone patio is one of the most classic out of all of the hardscape designs. You are able to spend hours of family time out on your deck or patio having a cookout or game night with your family.